The real challenge of programming isn't learning a language's syntax—it's learning to creatively solve problems so you can build something great. In this one-of-a-kind webcast, author V. Anton Spraul breaks down some of the ways that programmers solve problems and teaches you how to Think Like a Programmer. What is "problem solving" for programmers, and why is it so important? Can it be learned, or do some people just "get it"? How can someone develop his or her problem-solving ability? What are some of the basic techniques of problem-solving for programmers? 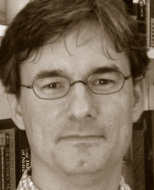 V. Anton Spraul has over fifteen years of experience teaching introductory programming and other topics in computer science. His latest book, Think Like a Programmer, is a distillation of the techniques he has honed over many one-on-one sessions with struggling programmers. He is also the author of Computer Science Made Simple.